Super Sleep helps you produce the natural brain-wave patterns of the Delta sleep state and enjoy the benefits of totally refreshing, deeply restorative sleep. Super Sleep helps you produce the natural brain-wave patterns of the Delta sleep state and enjoy the benefits of totally refreshing, deeply restorative sleep. Use ear buds, headphones or speakers placed on either side of the bed. 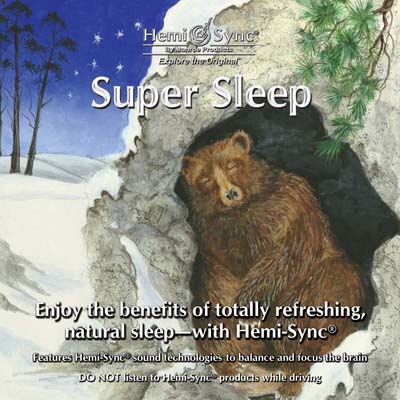 Play Super Sleep continuously to support uninterrupted sleep and get a good night’s rest. (Mind Food – Nonverbal) 45 minutes.